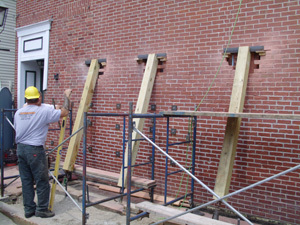 "... New England's leading expert in antique masonry ..."
Few houses over 160 years old showcase their original masonry. The early features of most older homes have been changed, replaced, or hidden. 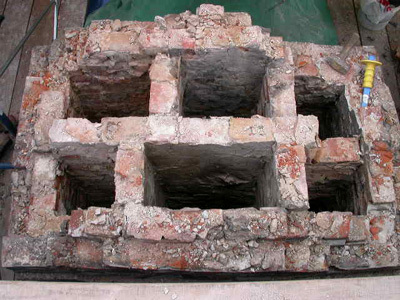 The older the structure, the more likely that its fireplaces were altered, "improved," or buried behind newer layers of masonry. Richard has uncovered hundreds of fireplaces, bake ovens, set kettles, and meat smokers for clients. 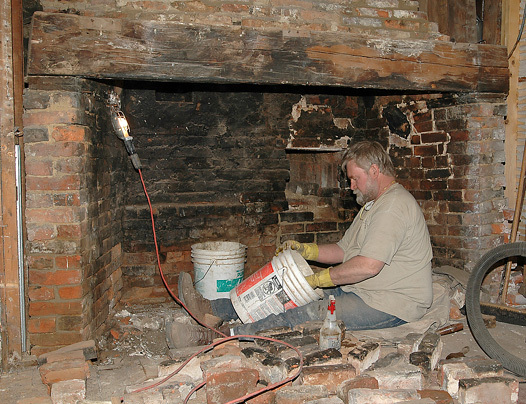 After working with "old house masonry" for more than 40 years, he has acquired the unique skill of reading "bricks and mortar" clues to discover hidden masonry treasures. Unbeknownst to many homeowners, early or original elements are often waiting to be rediscovered. For the past four decades, he has worked on and documented period brick and stone structures from foundation to finial. He's crawled into the belly of a federal baking oven at Fort Knox and repaired the chimneys of Nathaniel Hawthorne's House of Seven Gables. Along the way, he has also restored forgotten practices of the mason's craft and become a leading practitioner in his field. Through hard-earned experience, he has developed trade standards for investigation, preservation and reconstruction of masonry elements. Richard's expertise includes preparation of existing conditions reports and restoration recommendations, in addition to on-site supervision of renovation and construction projects. He has provided this expertise to many private homeowners as well as businesses, state and federal public agencies, museums, schools, churches, and regional historical and preservation societies. 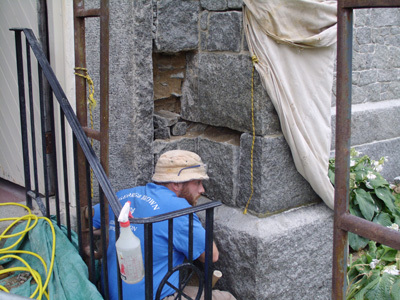 He works closely with a team of trained masons who specialize in restoration and rebuilding of historic masonry structures. 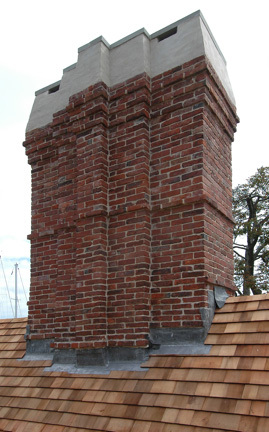 Typical projects range from foundations and walls to chimneys and fireplaces. He collaborates with other masonry professionals, including a client's preferred contractor. In a supervisory capacity, he provides step-by-step guidance on the techniques essential for a sensitive and historically-accurate project. "Richard Irons is, quite simply, the best restoration mason in America. 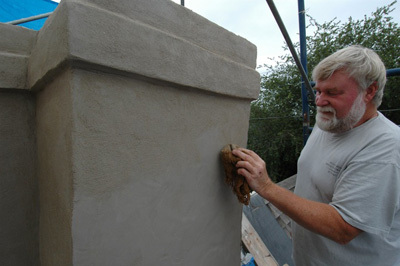 ... Richard has done all my restoration masonry work for 20 years. ... Since Richard uses original materials, it is very difficult to tell where his restoration work ends and the original work begins. 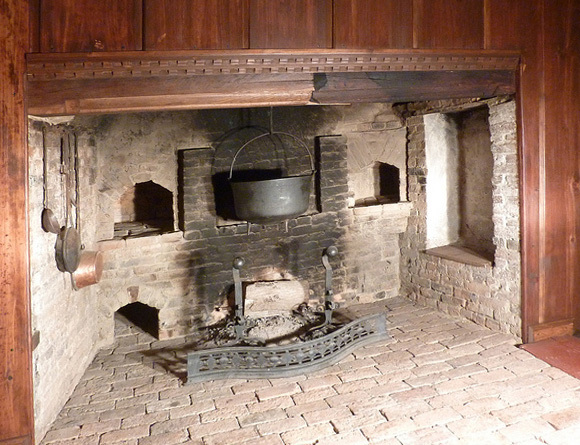 Our most recent project with Richard was the restoration of a circa 1768 seven foot cooking fireplace with its original wood lintel and two rear bake ovens. 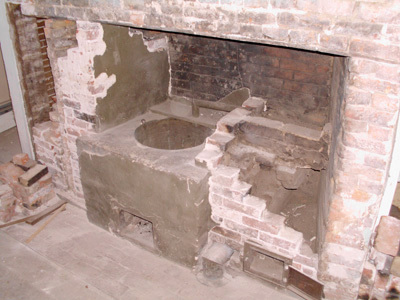 Our next project will be the restoration of a 1778 nine foot fireplace with a side bake oven."